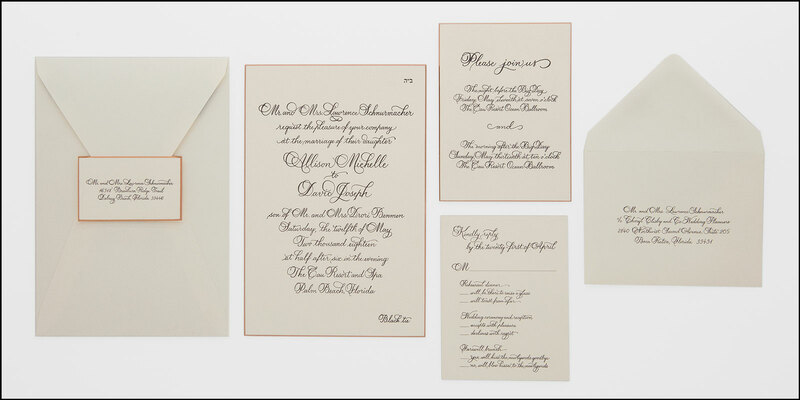 This beautiful invitation suite features custom calligraphy converted to charcoal letterpress on smooth natural white super heavyweight stock. 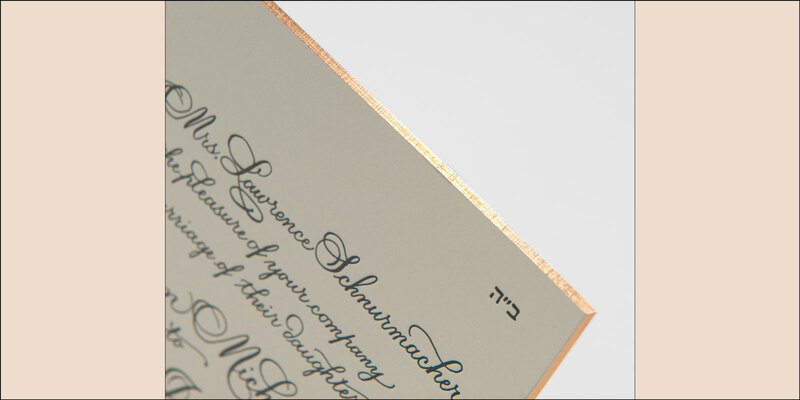 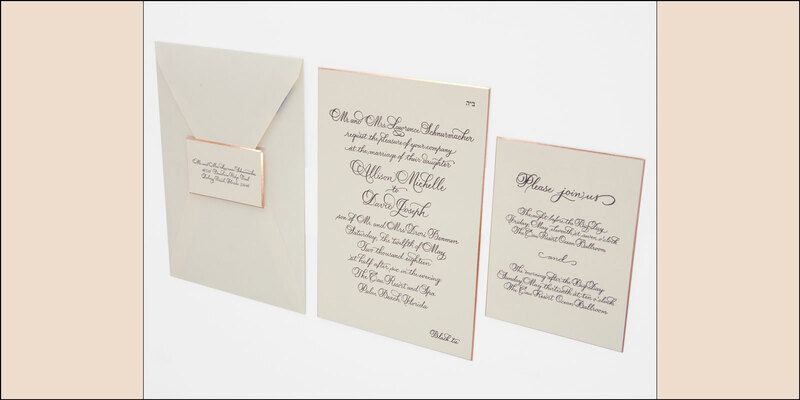 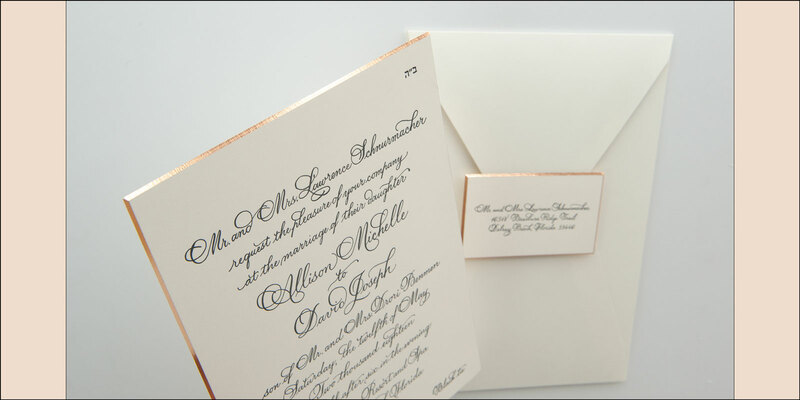 The edges of the cards are then beveled and edge gilded with metallic rose gold foil. 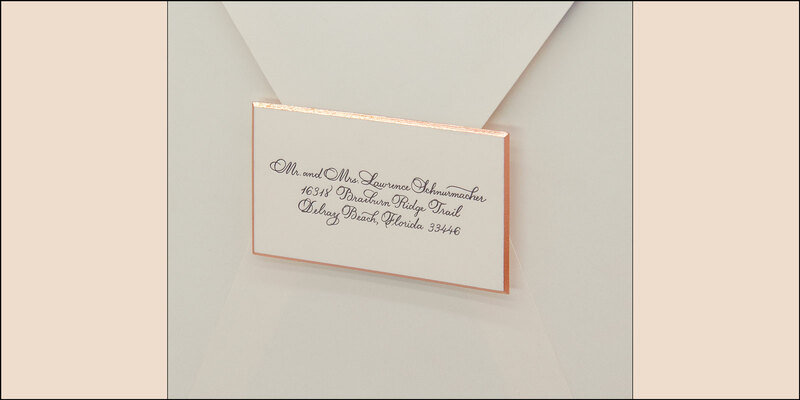 The vertical opening heavyweight custom mailing envelope features a charcoal fabric liner that gives this suite extra flair.